1 – If it’s through chocolate, go fair trade and sustainable. Camino, Hummingbird and Olivia are three locally based companies that sell great organic, fairtrade and/or sustainable chocolate around town. 2 – All that snow we’re getting has wreaked havoc for pedestrians and cyclists trying to use sidewalks or bike lanes. (Funny how the roads seem to get plowed first.) Do a bit of shovelling if you have sidewalk nearby; help out a neighbour. 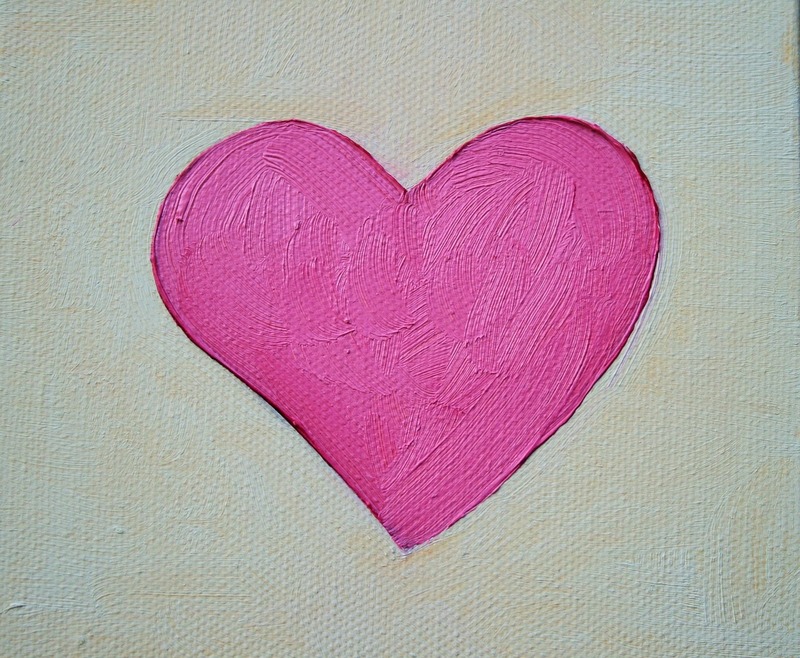 3 – Most importantly, take part in Have a Heart Day. 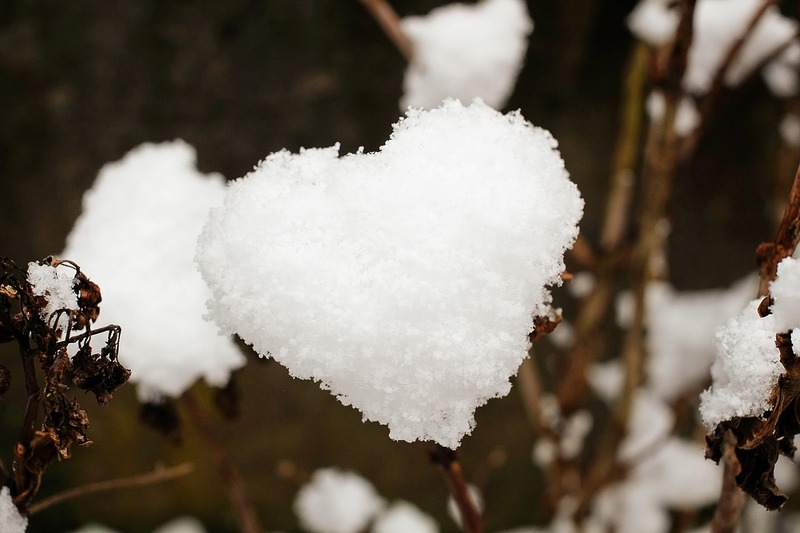 Have a Heart Day is all about showing support for First Nations children to get the services they need to live the healthy, safe and honoured lives they deserve and have a right to. The Canadian government has so far failed to comply with a 2016 Canadian Human Rights Tribunal ruling that found the government is racially discriminating against First Nations children and their families by not providing services that other children have access to. 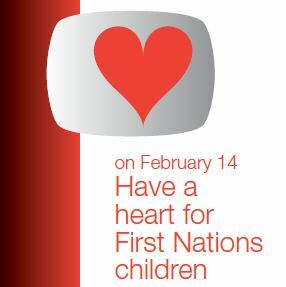 Have a Heart Day supports the First Nations Child and Family Caring Society’s efforts to change this situation. Come to Parliament Hill from 10:30-11:15 a.m. on Tuesday, Feb. 14, 2017 to show support. Bring your letter, song or poem of respect, support and love for First Nations children! It’s been said that it’s hard for one person to make a difference in the world. I’ve been thinking a lot about one person who did make a difference. Even more remarkable, she was an eight-year-old. Kate inspired many people here in Ottawa, and elsewhere, with her joy and determination. All the more impressive because she lived with a rare form of mitochondrial disease—so rare that she was the first person in the world ever to be diagnosed with it. You can read about Kate on Julie’s blog at http://searchingforsolidfooting.com/. CBC did a story here. Way to go, Ottawa and Canada! 10,000-25,000 of us gathered at Ottawa City Hall and on Parliament Hill to tell leaders that we want to see climate solutions and justice. It was a purposeful, joyful event. Now it’s time for decisions, and action. We’ll be watching, and leading. It’s one of my favourite times of the year—Jane’s Walk time! Jane’s Walk is an international celebration of cities and the people who live in and shape them. It’s a weekend of free walking tours led by volunteers who know something interesting about their city and are willing to share it. In Ottawa, more than 50 walks will take place in neighbourhoods, historic places and natural spaces on May 2 and 3, 2015. 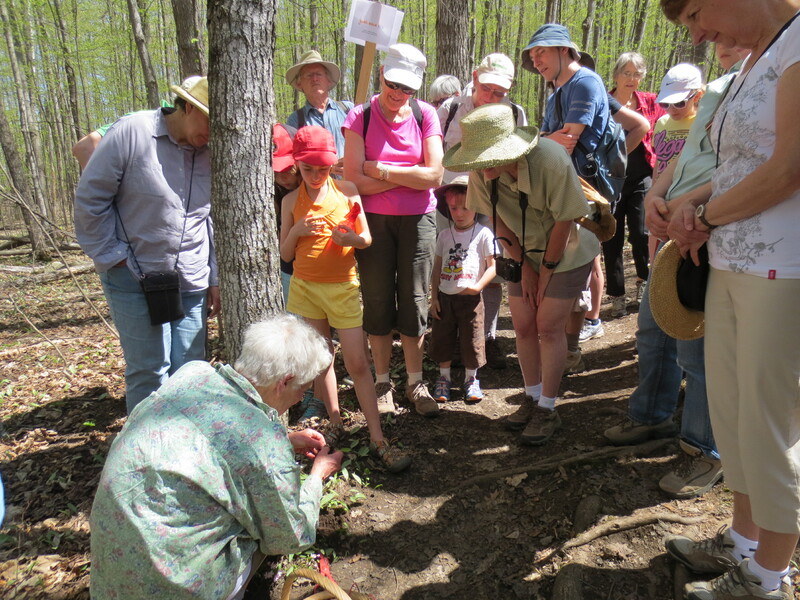 Experience the riverbank at Andrew Haydon Park with Martha Webber and Andrea Usworth. Check out these and other walks at http://janeswalk.herokuapp.com/sessions/7. All walks are free, take about an hour, and run in English or French. Jane’s Walk organizers welcome volunteers, too. There’s a “Jane’s Talk” on New Directions for Urban Infill with Ottawa city planner Alain Miguelez on Wednesday, Apr. 29, 7 p.m. at the NCC’s Urbanism Lab, 40 Elgin St. The weekend wraps up with a party on Sunday, May 3 at 4 p.m. at the Lieutenant’s Pump on Elgin. Jane’s Walk is a great way to get to know your city, meet other people and get outdoors. Check it out! How about a feast, a film and a thought-provoking discussion? The Indigenous Peoples Solidarity Movement Ottawa holds their annual celebration of the Defence of Mother Earth on Wednesday, Apr. 22 from 6-9:30 p.m. The film, Karistatsi Onienre: The Iron Snake, looks at Indigenous resistance to pipelines carrying tar sands oil. A panel with Jocelyn Iahtail (Cree mother, survivor and cultural teacher), Gabrielle Fayant (Metis and co-founder of the youth-led Assembly of Seven Generations) and Lynn Gehl (Algonquin learner-researcher, writer and rights advocate) will focus on Indigenous women. The event is a fundraiser for Shawnejeagamik, the 510 Rideau Indigenous Drop-In Centre. Check here for event details. Want to talk trees? Tree Ottawa is holding a workshop with Master Gardener Ed Lawrence and other tree experts on Wednesday, Apr. 22 from 7-9:30 p.m. Details here. Inspired to ride your bike, walk or take the bus more often? “Clean Your Commute” is Earth Day Canada’s theme for 2015, so check their website for green options. Earth Day Canada is also launching “Earth Day Every Day” on Earth Day this year. It’s a campaign to encourage people to reduce their carbon footprint by 20% by 2020. Check here for information. Why not sign up for Ottawa’s Bike to Work Month in May, too? Information and registration here. 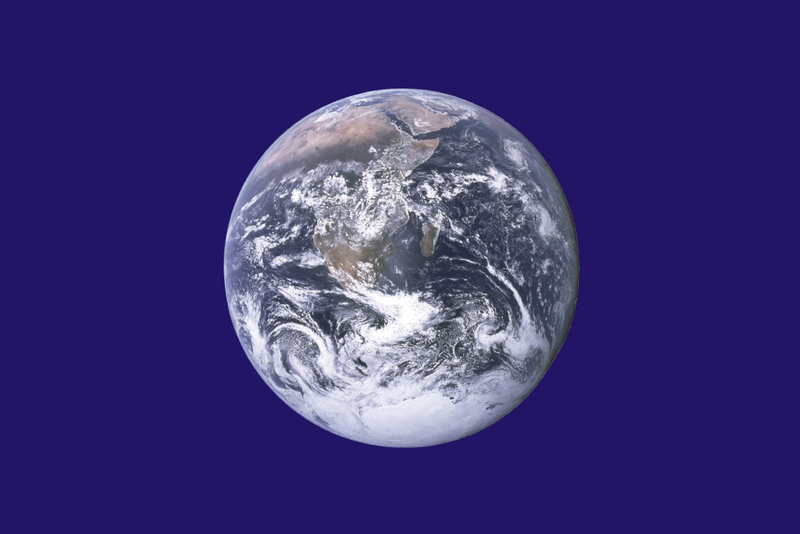 For some background on Earth Day and additional suggestions of what you can do, from ordering CSA food shares to supporting renewable energy, see this previous post. The bus-train crash in Ottawa yesterday has affected many people and has shocked and saddened all of us. The Ottawa Distress Centre says its services are available 24 hours a day, 7 days a week, for anyone who wants to talk about what happened, how to cope or how to help. The Ottawa Distress Centre phone line is 613-238-3311. Their website is http://www.dcottawa.on.ca/. Guest post submitted by Sarah Bradley, Transportation Demand Management Program Assistant, EnviroCentre. The third edition of Sustainable Transportation Week (STW) is coming to Ottawa September 16 to 22. Coordinated by EnviroCentre in partnership with the City of Ottawa and Vivre en Ville in Gatineau, the goal of STW is to encourage residents of the National Capital Region to walk, cycle, take transit, and carpool instead of driving alone.